Vicki Tolar Burton. Spiritual Literacy in John Wesley’s Methodism: Reading, Writing, and Speaking to Believe. Waco, TX: Baylor UP, 2008. [388 pgs]. For far too long the complex issue of the relationship between Methodism and 18th century literary practices and social roles has been overlooked. Although the disciplinary turn to new historicism and cultural studies has allowed literary scholars to examine texts and contexts through a broad variety of cultural lenses, a serious consideration of religion has rarely been one of them. As Ken Jackson and Arthur Marotti note in their study of “The Turn to Religion in Early Modern Studies,” this is not so much because religion has disappeared as a topic of study but because it has been “somewhat pushed to the side by most New Historicists and cultural materialists, who pursued other topics and, when they dealt with religious issues, quickly translated them into social, economic, and political language” (167). The same largely holds true 18th Century studies as is evidenced by E.P. Thompson’s famous representation of Methodism in The Making of the English Working Class as an autocratic, repressive, and bourgeois movement intent on reifying class hierarchy. In Spiritual Literacy in John Wesley’s Methodism: Reading, Writing, and Speaking to Believe, Vicki Tolar Burton takes on these issues by arguing that John Wesley, autocrat though he was, actually promoted a form of “spiritual literacy,” that located the practices of reading, writing, and speaking within a particularly communal and religious space. In doing so she both situates Methodist literacy practices within the broader literature on 18th century literacy and education, but also reassesses Methodism’s role in promoting the voices of women and the working class. Tolar Burton’s key argument is that one of the unique factors that determined the success of Wesley’s Methodism was the types of literacy he promoted among its adherents. Thus literacy, for the Methodists, was located in and revolved around a communal religious space and specific religious practices. Wesley himself placed a high value on literacy – an attribute he learned in childhood from his brilliant mother Susanna – and kept both a personal spiritual diary and published journal (which often varied greatly) throughout his long life, a practice he expected his followers to emulate. As such, he both promoted and expected literacy practices from both his lay preachers and lay people – both men and women. To this end Wesley engaged in an extensive publishing venture which not only published his own works and those of his brother Charles, but also abridged versions of works in “practical divinity” that he thought would be helpful to his flock. Wesley fully expected that his lay preachers (who were not college educated and not ordained in the Church of England) would read these works and thus improve their education and literacy. Not only did Wesley promote reading among his preachers and lay members, he also promoted speaking and writing. In reaction to the growing demand for preachers and the lack of ordained Anglican clergy associated with the movement, Wesley controversially began appointing (though not ordaining) lay preachers to circuits around England. These preachers were encouraged (nearly fifty years before Wordsworth’s Preface to Lyrical Ballads) to speak in as plain and understandable style as possible without the rhetorical flourishes that characterized the belle lettristic tradition. Even more controversially and after initial opposition, Wesley began to allow women who possessed an “extraordinary call” to preach publically to mixed crowds. Women like Mary Bosanquet Fletcher (the wife of the famous John Fletcher), Sarah Crosby, and Sarah Mallett, though not appointed to a circuit, travelled around England preaching and ministering to large crowds. 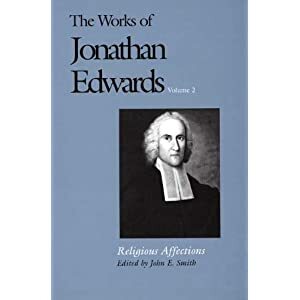 Unfortunately, the writings and sermons of many of these women preachers do not survive; however there is a clear print record of many other Methodist women who, encouraged by John Wesley, wrote spiritual diaries and journals. Wesley often solicited these spiritual accounts as “seals” of his ministry and proofs of his controversial doctrine of Christian perfection. Thus many men and women, even if they did not preach, wrote their own religious experience diaries – many of which were published in the pages of Wesley’s Arminian Magazine or in standalone editions. The most famous of these accounts is The Experience of Hester Ann Rogers which was published by Wesley shortly before his death and was a best seller throughout the nineteenth century. Though not a preacher, Rogers was one of the few people who he believed had achieved mystical union with God on earth and her account is an engaging testimony to that fact. Finally, Tolar Burton includes a chapter on Wesley’s role in the Sunday School movement which, though not founded by the Methodists, was quickly appropriated and expanded by their extensive organization. By Tolar Burton’s estimation, nearly 2 million children had made their way through Methodist Sunday Schools by 1850 – thus educating an entire generation of working children (and their parents) who had no other options for learning to read. 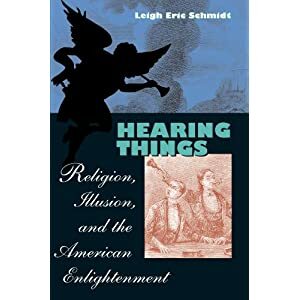 Thus, she argues, in all of these instances the Methodists were able to use an explicitly religious and spiritual space to both promote literacy practices and reach the poor and marginal (including women), who lay outside of traditional religious and educational structures. Thus, in reading Methodism as a movement that envisioned literacy as part and parcel of spiritual development, Tolar Burton both expands the existing literature on literacy and education during the eighteenth century and modulates the perception of Methodism as a socially repressive force – a perception that has existed at least since Thompson. On the first count, Tolar Burton’s chief contribution is to call into question the admittedly shaky analysis of literacy conducted by scholars like Harvey Graff who base their estimates of literacy in the period on signatures on public documents. As has long been recognized, this is a problematic approach because it privileges writing over reading – ignoring the fact that, while many individuals during the period could not write, this did not mean they could not read. Tolar Burton makes this especially clear in her chapter on the Sunday School movement, in which she details the controversy even within Methodism over whether to teach the children to write. Though both reading and writing were considered dangerous skills for the lower classes to obtain, writing was considered to be far more dangerous than reading. As such, every Methodist Sunday School taught reading (basing the lessons on the Bible) but not all taught writing. This indicates that, not only was the practice of reading intimately tied to the Protestant ideal of reading the Bible, but that perhaps a higher percentage of people than previously thought were taught to read through Methodist Sunday Schools. Not only does Tolar Burton interrogate literacy practices and research that privilege writing over reading, she also highlights oratory as a vital Methodist literary practice. 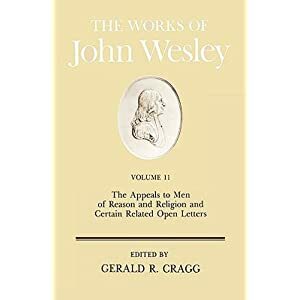 In two key chapters on men and women preachers in early Methodism, she emphasizes the impact the extempore, open air preaching style Wesley encouraged his preachers to adopt affected the spiritual literacy of the movement. Classically trained at Oxford, John Wesley was more than familiar with all of the major schools of preaching rhetoric – from Ciceronian to Belle Lettristic – nevertheless the style he came to both practice and advocate was far different from anything he learned at Oxford. Instead, Wesley suggested that his preachers preach simply, on a single scripture passage, without a written text, and in a natural manner (Tolar Burton 114-115). This style was not only radically different from his contemporaries (especially Hugh Blair) but it also points to the fact that, for Wesley, reaching the broadest possible audience with his message was the paramount concern. No doubt one of the reasons that preachers like John and Charles Wesley and George Whitfield were reported to have spoke to open air crowds as large as 10,000 was due to the fact that their style of preaching was far different and far more engaging than the alternative. In order to understand and critique the function of women’s rhetoric in the cultural formation of women’s lives, it is helpful to read closely not only the disembodied content of rhetoric written by and for women, but also the embodied texts – the material elements of production and distribution – with particular attention to how publishing decisions and practices affect ethos as it functions in women’s texts and women’s reading. I am referring to the actual physical changes in the printed texts (211-212). Hester Ann Rogers’ Account, she argues, is an especially good example of this due to its complicated and revealing publication history. Originally published on its own in 1793, subsequent editions of the text published after her death in 1794, while still containing the main body of her text, also included significant additions. 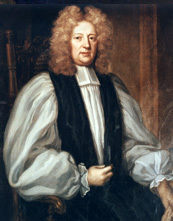 Most notably, a funeral sermon by Methodist leader Thomas Coke and personal reflections by her husband James Rogers were appended to the text – both of which went to great lengths to portray Hester as an exemplary wife and mother, a feature notably lacking from the original, intensely spiritual, text. Furthermore, though there were numerous women preachers in early Methodism, it was the non-preaching, privately religious Hester Ann Rogers that the Methodist leadership post-Wesley chose to uphold. 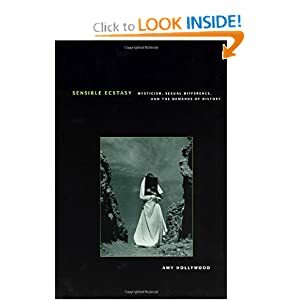 Thus the internalized spirituality of Rogers’ text, along with the way her image was shaped by her later editors, paradoxically worked to canonize her as a symbol of quiescent female spirituality. That said, Tolar Burton’s contribution to the literature on eighteenth century literacy practices in only half the story. Not only does she point out that the practices of literacy were far more extensive and complex than has previously been recognized, but she also challenges the long dominant perception of Methodism as a largely reactionary bourgeois movement. To be sure, John Wesley was a Church and King man till the day he died but nevertheless, as Tolar Burton points out, a large portion of his ministry was directed to and for the poor, the laboring classes, and women. In fact, not only were many of Wesley’s preachers drawn from the trades, but some of his first successful ministries were to the Kingswood miners. Furthermore, as several chapters of Tolar Burton’s book point out, women were an integral part of early Methodism – leading classes and bands, teaching Sunday Schools, and even preaching. At one level the reactionary – indeed, odiously subservient – character of official Wesleyanism can be established without the least difficulty…. He [Wesley] rarely let pass any opportunity to impress upon his followers the doctrine of submission, expressed less at the level of ideas than of superstition…. Thus, at this level Methodism appears as a politically regressive, or ‘stabilizing’, influence (40-41). Instead, while in no way denying the fact that Wesley was an unabashed autocrat and defender of the established order, Tolar Burton complicates the portrayal of the movement as a whole by examining the lives and literacy practices of actual Methodist people – both preachers and lay members. In doing so, she echoes historian Phyllis Mack’s recent call to locate “an angle of vision that allows [us]… to accept these spiritual concerns as sincere and legitimate,” and also “share, however imperfectly the struggles of ordinary Methodists and lay preachers, to stand with individual men and women as they worked to shape their own subjectivity, not in a single cathartic moment at a revival meeting, but over a lifetime” (7). By doing so, Tolar Burton seeks to move beyond the monolithic figure of John Wesley and understand how ordinary Methodist men and women conceived of the connection between faith, spirituality, literacy, and the public sphere.